Where Legends Are Made' encapsulates the return of PES, with new features, modes and an unparalleled gameplay experience. This year's edition bring the biggest changes to the award winning series seen in a decade, which will set a new standard for soccer games, and raise expectations for the future of the franchise. No part of PES 2018 has been left untouched, giving you new ways to play with a number of gameplay improvements, Online Co-op, Random Selection Match, and a complete presentation overhaul with lifelike player models, new menus and real player images. The world renowned gameplay quality has been finely tuned and refined to recreate the authenticity of the beautiful game, including a more realistic game speed. Strategic Dribbling gives the user significantly more control in possession, with the addition of contextual shielding to protect the ball, as well as simple stick controls triggering realistic, subtle movements to wrong foot defenders. Real Touch+ adds a new dimension to ball control, with full body touch allowing various parts of the body to control the ball based on the unpredictability of the ball movement. Set pieces have been reworked with a new FK and PK system, alongside the option to choose the new one player kick off. Realistic visuals recreate the authenticity of football, all the way down to the finer details thanks to Real Capture. Players have been motion captured in equally realistic environments, allowing for a complete rework of the animation system, starting with core movement such as walking, turning and body posture. Additionally, player models have been completely changed, with special attention paid to kit fitting and short size. 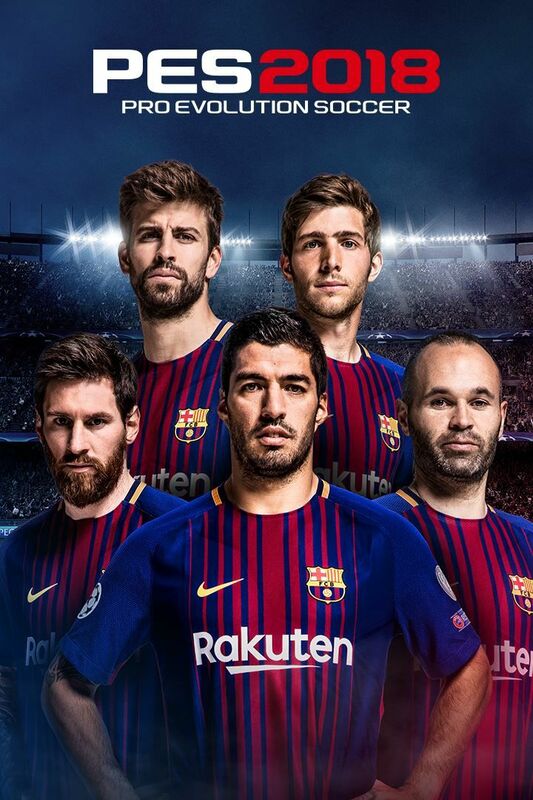 Players photo scanned from partner teams will receive full body tattoos, including Marco Reus, Pierre-Emeric , Philippe Coutinho and Neymar Jr.
To promote Pro Evolution Soccer 2018 and grow its popularity (top games), use the embed code provided on your homepage, blog, forums and elsewhere you desire. Or try our widget.